If you thought Phuket was the only place to check out in Thailand, you couldnï¿½t have been more wrong. Phi Phi Islands is as fabulous, if not more, than Phuket. This place was made famous, all thanks to the filming of the Leonardo Di Caprio starring the movie "The Beach". While there are loads of activities to do in the Phi Phi Islands, I was there primarily to check out the Phi Phi water sports. 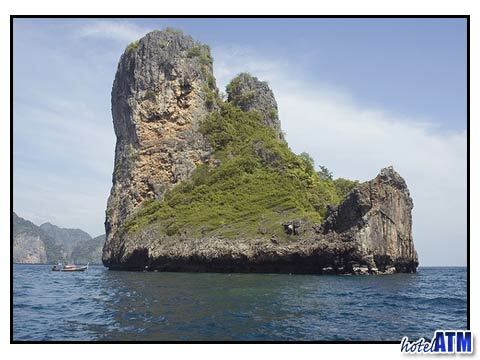 I researched Aquanauts and found they were one of those small schools that specialize in small group diving on Phi Phi. Although Iï¿½ve always been fascinated by scuba diving, I had never tried it out. After checking out the safety measures at Aquanauts and the fact that they have one instructor for four divers, I was convinced that I could go on my first underwater expedition. I opted for the PADI, One Day Discover Scuba Diving. I was offered the Maya reef, Hao Raogute and Wang Long as some of the diving destinations but in the end the Instructor decided the optimal reef for us from sea conditions. We dove the Maya Bay Reef and the experience was terrific as I saw a Hawksbill turtles and an octopus which was just amazing on my first dive! All thanks to, Aquanauts. The reef we went over was a series of huge boulders with some soft corals too. It was thrilling to say the least. Since this was my first time ever, I had to go to a relatively shallow place. A friend of mine was telling me about the open sea diving options. Of course, this is for the certified divers. If I had the time, I wouldï¿½ve also checked out Loh Samah or Koh Bida where the chance of seeing something a lot larger like a whale shark is greater. The instructor at Aquanauts was very informative and seemed to know every Phi Phi Island coral type, sponge, shell fish, urchin and also the myriad of small and colorful reef species on the way. What got me was how the differing organisms worked and survived together. Cleaner fish were the most fascinating and you could see the very common sergeant major clean the sand of algae, or the parrot fish crunch their way through the hard coral... you could actually hear them. This and many more similar stories before we went down made the experience come alive as I was able to see, in only a very short time, the way some of the fish doing exactly the same in one part of the reef as their cousins on the next part. Donï¿½t be led into believing that the prices are too hefty. Itï¿½s reasonable. Lunch was served on the boat. I opted for a dive which stopped at two places. There are some that stop at more than two places but I believe that is for the wreck dive trip. Aquanauts has teachers who teach in several different languages, with a specialty in Japanese. The diving equipment is in real good condition. I actually thought it was brand new! For anyone who wants to check out underwater life, Aquanauts has some wonderful offers and the staff is well-trained. Whatï¿½s more, they even empathize with your ï¿½hydrophobiaï¿½. Aquanauts ensures that by the time youï¿½re done with your first tryst with diving, you would be asking for more. This is what happened to me and Iï¿½m glad that this place is making scuba diving so much fun. The next time at Phi Phi Islands, Iï¿½ve decided to check out the night time scuba diving at Aquanauts and so will need to get qualified properly. DISCOVER SCUBA DIVING - the one day experience. SCUBA DIVER - the course which certifies you to a depth of 12metres. OPEN WATER - take home a diver's international card, valid world wide. SCUBA REVIEW - if you haven't dived in a while then refresh those diving skills. ADVANCED - becoming a more complete diver. MEDIC FIRST AID - fundamentals in life-saving. RESCUE DIVER - become a safer diver. DIVEMASTER - professional underwater guide. 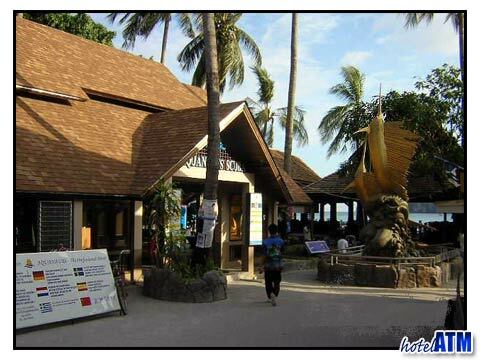 Aquanauts Scuba was one of the first purpose-built dive centers to be established on Phi Phi Island from 1989. Their style is non-commercial and comes from diving in small numbers.